Potato chips are the number one bestselling snack in the world followed by tortilla chips and crackers. The snack food has been around since 1853. It became massed-produced for home consumption when The Potato Chip Company, dubbed as “the oldest potato chip company in the world”, began manufacturing in 1910. From then on, many potato chip makers and entrepreneurs have found the potential of selling potato chips as profitable in the food industry. Snack food manufacturing giant PepsiCo Inc. exceeded $10 billion global potato chip sales in 2010. PepsiCo Inc. owns the largest snack food brand Frito-Lay. Frito-Lay snack food products often top market sales with 60% coming from outside North America. Its top ten markets include the United States, Mexico, Canada, Australia, Russia, United Kingdom, Spain, Netherlands, China and India. Frito-Lay’s popular snack food brands are Lay’s potato chips, Doritos and Tostitos tortilla chips, Cheetos cheese flavored snacks, Frito’s corn chips, Ruffles chips, Rold Gold pretzels and Walkers potato crisps. It is already obvious that the number one bestselling potato chip in the world is a Frito-Lay product. What are the other bestselling potato chip brands? Below is a list of the top bestselling potato chips in the world. Golden Flake is a brand of potato chips, cheese curls, fried pork skins, tortilla chips, corn chips, and other salty snacks owned by Golden Flake Snack Foods. Golden Flake was founded in 1923 by Mose Lischkoff and Frank Mosher in Birmingham, Alabama. Some of their potato chip varieties include dip style potato chips, thin & crispy, barbecue, dill pickle, salt & pepper and more. Popchips is a brand of potato snacks created by Popchips Inc. Established in 2007 by entrepreneur Keith Belling and former investment banker Pat Turin, Popchips Inc. was rated by Forbes as one of America’s top 20 promising companies in 2011. The chips are made by processing potato corn products at high temperatures and pressure. Popchips has a variety of flavors including the original flavor, sour cream & onion, parmesan & garlic, sweet potato and barbeque among others. Popchips’ celebrity endorses are actor Ashton Kutcher and pop singer Katy Perry. 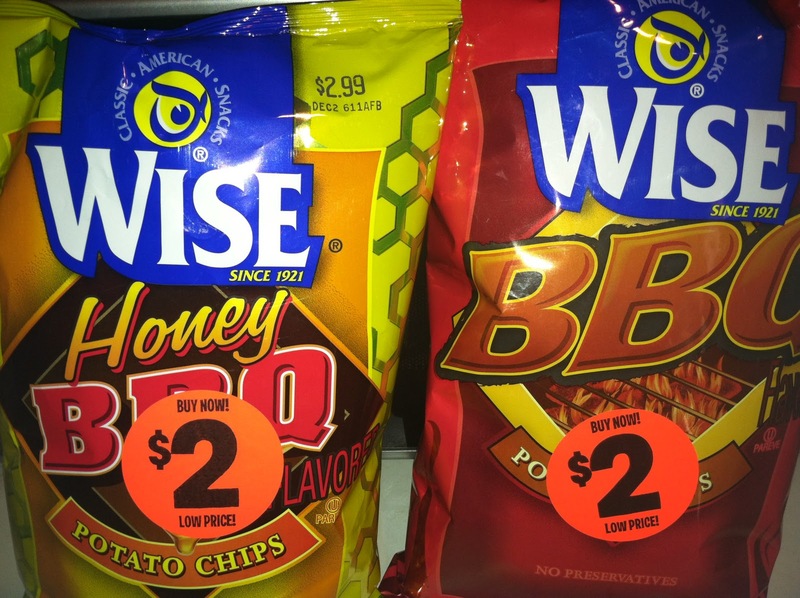 Wise potato chips are manufactured by Wise Foods, Inc. The brand was recently acquired by Mexican company Arca Continental in 2012. Earl Wise Sr. founded the potato chip company in 1921. After the company became successful after World War II, new products were added such as pretzels, corn chips, popcorn, peanut butter sandwich, fried bacon rinds and crackers with cheese. Herr’s is a brand of snack foods with potato chips as its well-known product. The company is based in Nottingham, Pennsylvania and was established by James S. Herr in 1946 when he was only 21 years old. The company introduced flavored potato chips in 1958. 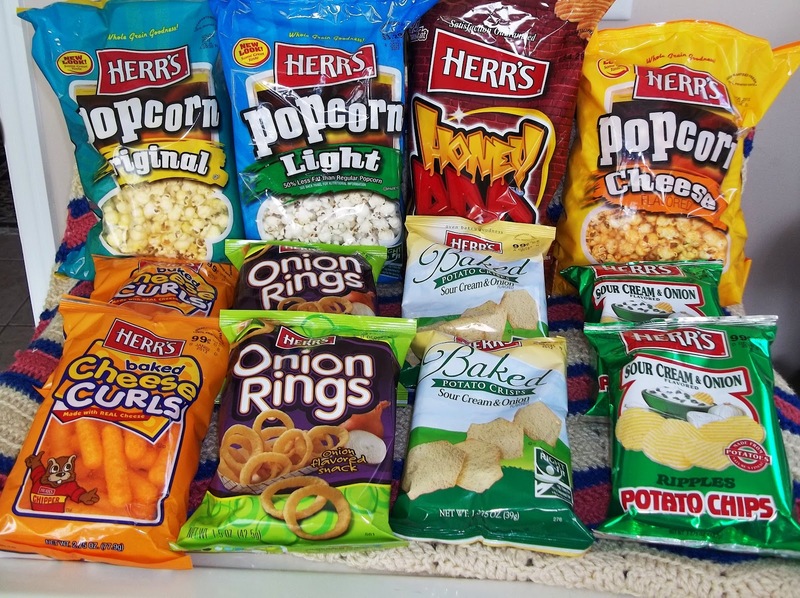 Herr’s products include tortilla chips, pretzels, popcorn, cheese curls and onion rings aside from potato chips. Cape Cod Potato Chips is manufactured by Snyder’s-Lance, the second largest snack maker in the United States. 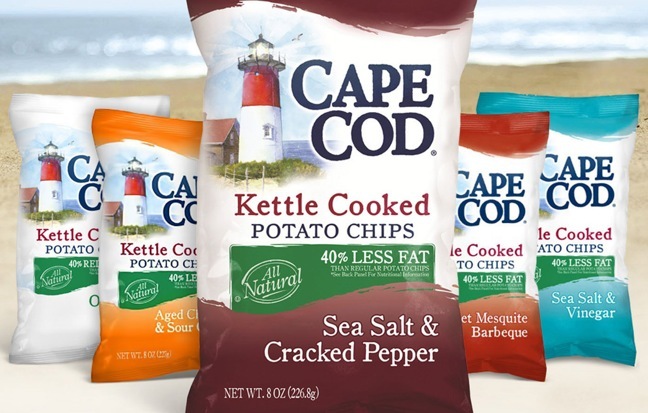 Inspired to offer healthier foods with little processing, Cape Cod Potato Chips was founded by Lynn and Steve Bernard in 1980 when the latter pursued to add potato chips in their products. Some of its current varieties include Sea Salt & Vinegar, Sea Salt & Cracked Pepper, Whole Grain Toasted Grains, Waffle Cut Sea Salt and many others. Herr’s potato chips are known for its strong and spicy flavors. It currently has twenty-five different varieties which include Old Bay, hot sauce, jalapeño and horseradish. They also offer traditional flavors such as salt & pepper, sour cream & onion, barbecue and kettle cooked. Kettle Brand potato chips are produced by international snacks manufacturer, Kettle Foods. Aside from potato chips, they also manufacture tortilla chips and nut butters. It was founded by Cameron Healy in 1978. The company produced its first potato chips in 1982. The Kettle Brand is known for using all-natural ingredients. They also invite individuals to join their contest to produce new potato chip flavors. 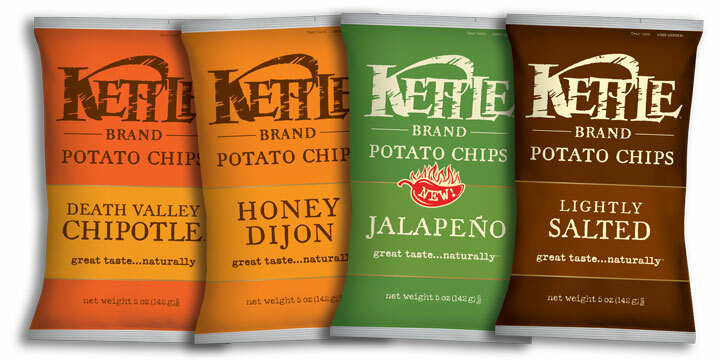 Examples of Kettle’s potato chip flavors include New York Cheddar, jalapeño, sour cream, sea salt, honey barbecue and more. Utz is a potato chips brand owned by Utz Quality Foods, Inc., the largest snack brand in the United States. Utz potato chips were first created by its founders, William and Salie Utz, in their home in Hanover, Pennsylvania in 1921. 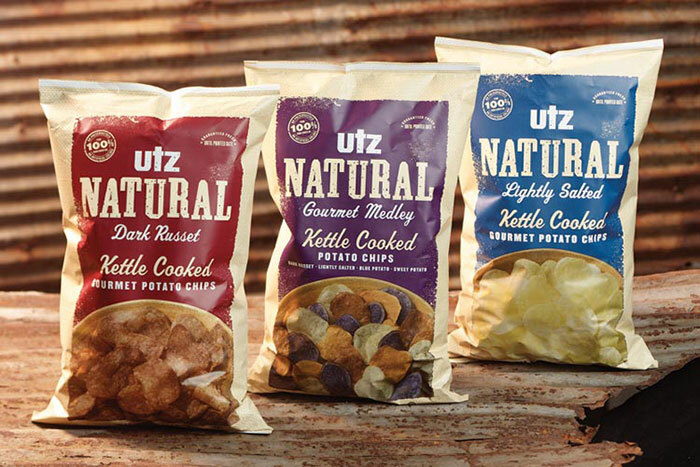 Utz also has other variety of snack foods such as pretzels, sunflower chips, tortilla chips, popcorn and pork rinds. They also provide dips, salsa and crackers. Who wouldn’t be familiar with Julius Pringles and his large moustache? Pringles is a potato and wheat-based snack developed by Procter & Gamble. The creators of Pringles were chemist Fredric Baur and P&G researcher Alexander Liepa who both worked separately to develop a perfect potato chip. Procter & Gamble sold Pringles to the Kellog Company, an American multinational food manufacturing company. The Kellog Company officially acquired the brand on March 31, 2012. Pringles is known for producing exciting flavors sometimes released in limited edition. 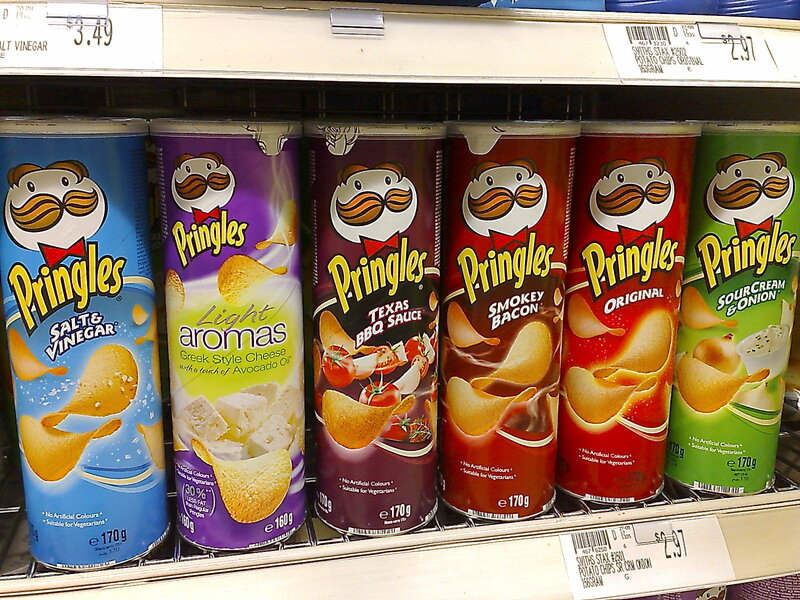 Some of Pringle’s popular flavors include chili cheese dog, seaweed, cinnamon sugar, sour cream, and ketchup among others. Ruffles is a potato chip brand owned by the Frito-Lay Company. 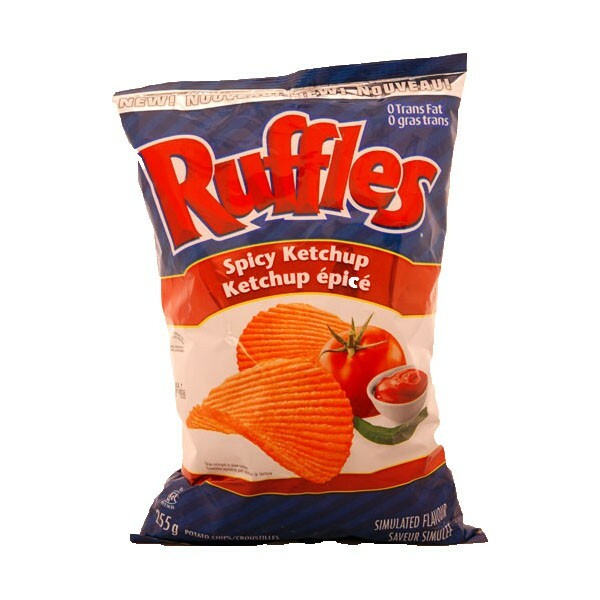 The company acquired the rights to Ruffles in 1958. Ruffles got its name from its crinkled-cut potato chips. It has a variety of flavors aside from its regular flavors that includes cheddar & sour cream, sour cream & onion, buffalo wing, honey mustard, paprika, loaded chili and cheese, au gratin and more. Lay’s has a number of potato chip varieties manufactured by the Frito-Lay Company. It was founded by salesman Herman Lay when he opened a snack food company in 1932 in Dorset, Ohio. Lay merged his company with Elmer Doolin, founder of the Frito Company in 1961. Since then, Frito-Lay became one of the largest snack food manufacturers in the United States. Lay’s potato chips include flavors such as barbecue, sour cream & onion, salt & pepper, ham and many others.